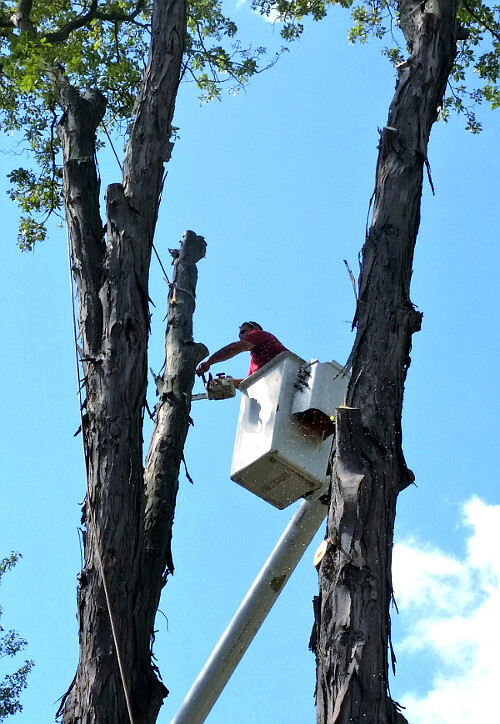 ArborScaper Tree & Landscape provides the full line of Tree Services, which include: Tree Cutting, Tree Trimming & Pruning, and full Tree Removal with Stump Grinding and grading. 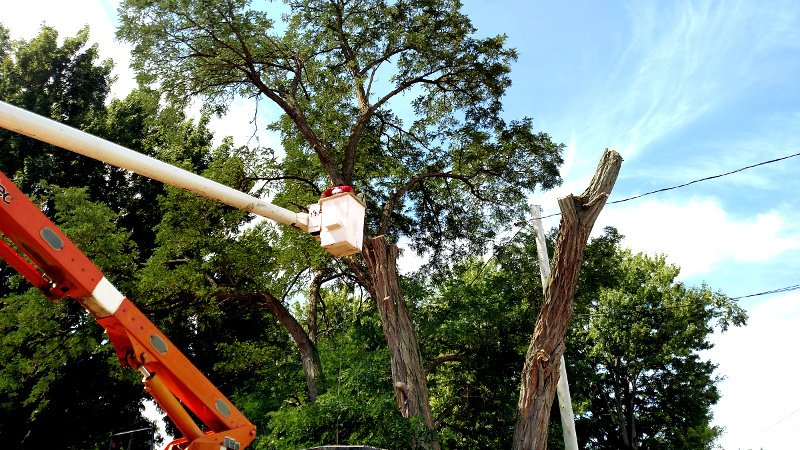 ArborScaper Tree & Landscape utilizes a Bucket Truck as needed for taller trees, when access to the site is possible with the truck. If the tree is located in an area that is completely inaccessible to the Bucket Truck, then the crew will be required to climb the tree with ropes and harnesses. If the project calls for full Tree Removal, then after cutting the tree down the company utilizes a Rayco Stump Grinder to grind the stump below grade. Grading services are also available to cover the area with topsoil afterward. 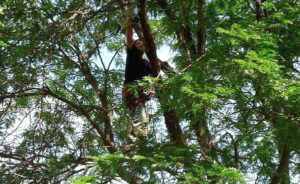 Contact ArborScaper today for your free Tree Services estimate. Copyright © 2018, ArborScaper Tree & Landscape in Rochester, NY. All rights reserved.